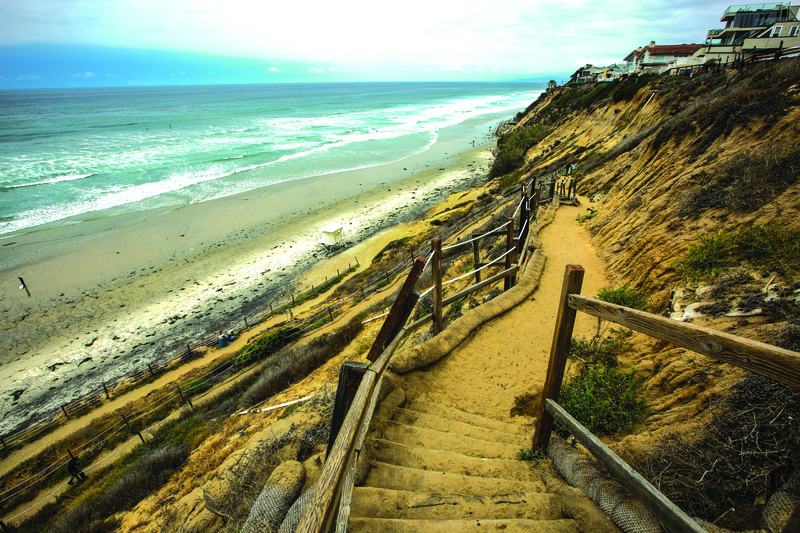 ENCINITAS — The city unveiled a new plan for a wooden staircase along the south side of the beach at what was supposed to be a workshop Oct. 15 at City Hall. But several residents continued a protest over the planned revamping of the iconic Beacon’s Beach staircase, urging the city to revisit a plan to buttress the unstable coastal bluff and preserve the beach’s iconic switchback trail in perpetuity. Those residents argue that the staircase does nothing to solve the problem with the bluff, which could still collapse and injure people using the beach below. and in 2017 opted to pursue a staircase after they said the Coastal Commission signaled to them in March that it wouldn’t support their proposed solution — using erodible sand cement to reinforce the bluff. A Coastal Commission staff member told The Coast News on Oct. 16 that the city’s recollection of discussions was accurate — that the commission staff actively dissuaded the city from pursuing the sand cement option because it was tantamount to a seawall, which would limit sand to the beach and eventually would render the beach unusable to the public. But residents and surfers banded together to roundly pan the city’s first proposal — a large steel and concrete staircase that the Planning Commission deemed to be out of scale and character with the beach. City officials said Oct. 15 that they were hopeful that the new proposal — which included two versions of a wooden staircase — would be a fair compromise. Some residents voiced support of the plan, but most disagreed with a proposal to turn a portion of Neptune parallel to the parking lot into a two-way street, which would allow them to reconfigure the parking lot to reduce the number of spaces that would be lost. The earlier parking lot proposal would have shed 12 parking spaces from the current configuration due to the city having to move the lot back out of the slide area. Additionally, the city announced plans to replant vegetation along the bluff and perform other maintenance measures that residents had long clamored for. But much of the Oct. 15 two-hour session revolved around residents pushing back against the idea that the staircase was the only viable alternative. The group of residents, which included Preserve Beacon’s member Peter Brately, urged the city to revisit its 2017 concept, which they argue that the Coastal Commission did not reject in the letter. Brately also suggested the city use other methods such as the “living shoreline” dune restoration currently being employed at Cardiff State Beach, as alternatives to the staircase. Others pointed to the state’s recent completion of a bridge at Big Sur, which was destroyed during the 2017 storms, as evidence that the state would rebuild a key piece of infrastructure if damaged by slides. Those residents repeatedly asked if the city would pledge to keeping the switchback open forever — including a pledge to rebuild it if it were destroyed by a landslide. City officials have pledged to maintain it and keep it open, but said they couldn’t pledge to rebuild it because that would require state approval, which they couldn’t guarantee. The group also accused city officials of letting the Surfrider Foundation set the agenda for the workshop, producing a set of emails between city officials and local Surfrider policy adviser Julia Chunn-Heer. Those residents — some of whom own property along Neptune Avenue — believe the city is being pressured by the Surfrider Foundation, which advocates for so-called “planned retreat,” a strategy of removing seawalls, roads, homes and other structures gradually over the years in advance of rising sea levels. The accusation created a contentious moment in which Development Services Director Brenda Wisneski was audibly upset with the assertion. Chunn-Heer, who also attended the Oct. 15 session, tried to explain Surfrider’s position regarding the city’s previous options and why they supported a staircase, but the group of residents did not agree with her arguments. Following the debate, another group of residents provided the city with input on the two alternative staircases — one that had longer runs of stairs and fewer switchbacks, and another that had more switchbacks and went closer to the beach before giving way to wooden steps inlaid on a smaller area of sand cement colored to resemble the beach sand. Roberta Walker, a Cardiff resident and the executive director of the Cardiff 101 Foundation, said she preferred the staircase with more switchbacks because it followed the contour of the cliff and would be easier for people to traverse. Another resident warned that longer staircases have become popular with “workout warriors” who use the stairs for aerobic exercise. The stability of the bluffs atop Beacon’s Beach, which is operated by the city under a 20-year agreement with state parks, drew attention in town in 2001, when a collapse destroyed part of a trail. City officials have long listed the stabilization project as a priority, and shortly after the 2001 incident state parks awarded the city a $2.75 million grant to stabilize the area. Officials fear that another bluff collapse could damage that bluff-top parking lot and the trail that winds down the 100-foot bluff to the beach below. The recent meeting was billed as workshop, in which residents would be able to walk around and view drawings and renditions of the city’s new proposal, and ask questions of a group of city staff members on hand. A contract geologist began the workshop with a history of the bluff in an effort to explain the various alternatives the city discussed before opting for the staircase. The list included 13 alternatives that were rejected for various reasons. 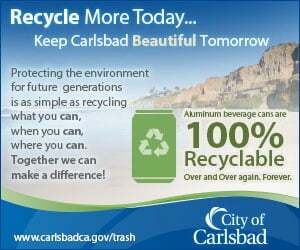 The city’s environmental attorney also explained why the city sought an exemption from the state environmental process for the staircase, and again the residents disagreed and asserted that the city should be doing a full-blown environmental impact report before any action is taken. 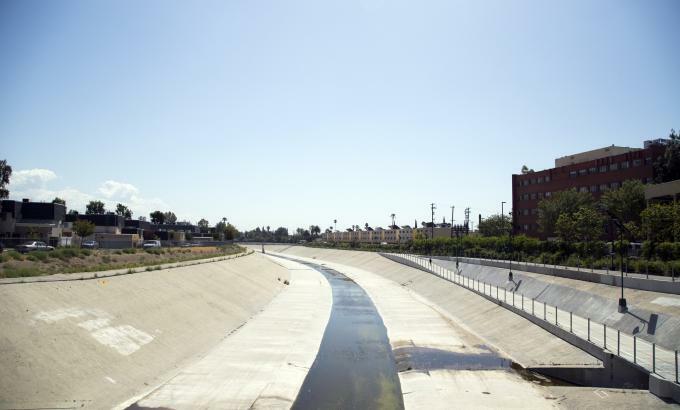 The city hasn’t set a timetable for the project to return to the Planning Commission.